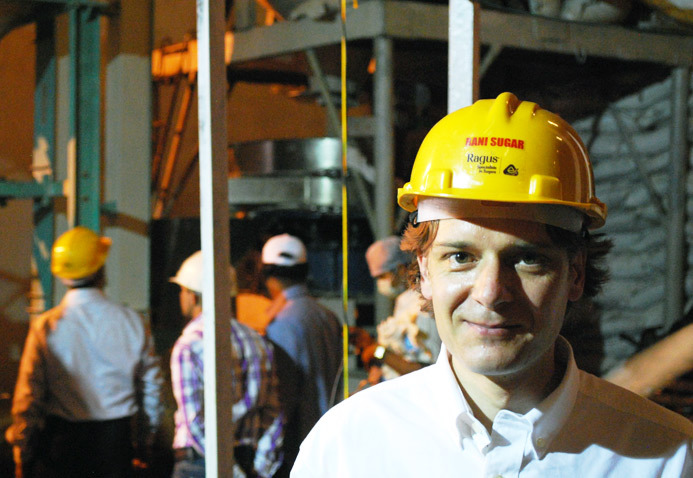 Imports of India’s 2011/12 production into the EU are well under way, so Ben and I took the opportunity to audit the crushing facilities and inspect the progress of next year’s crop. India is the world’s second largest producer, but also the world’s largest consumer, so the balance of supply verses demand means Ragus needs to work in close partnership with our key suppliers to ensure uninterrupted supply. With an ever increasing amount of sugar produced, Ragus auditing the farms and plantations ensures key CSR adherence and premiums for Organic and Fairtrade result in a communal benefit. Ben Eastick at the mill.